Recipient of 2015 Exemplary Service Award from the American Numismatic Association. Recipient of gift from the Eric P. Newman Numismatic Education Society (EPNNES). See 2017 news and Jan. 2019 thank-you letter from the PNNA. We'll see you again at the Fair! 3rd Q 2018 Washington State Fair edition of The Nor'wester. The 2019 edition should be available by about August 1. FREE paper copies will be available at the Fair Hobby Hall. or go directly to the PNNA Fair schedule and signup information. We'll see you again in Portland! - November 1-3, 2019. Understanding Exonumia Workshop is scheduled for Saturday November 2. 4th Q 2018 Fall Convention edition of The Nor'wester. 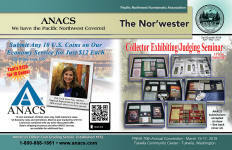 Thanks to Heritage Auctions, ANACS and other advertisers for sponsoring this edition. The 2019 edition should be available by about mid-October. Please pick up a free paper copy at the convention. This year's Boeing Employees' Coin Show was held Jan. 19-20, 2019. 1st Q 2019 Boeing Employees' Coin Show edition of The Nor'wester. Thanks to West Coast Coins, ANACS and other advertisers for sponsoring this edition. Although this show is not a PNNA-sponsored event, it is one of the largest shows in the Northwest, and the PNNA produces a special edition for this event. It's over for this year! March 15-17, 2019. See report/photos. 2nd Q 2019 Spring Convention edition of The Nor'wester. 2019 Tukwila convention dealers | 2018 Portland convention dealers. PNNA sponsor dealers (business card ads). List of known PNNA dealers' names, locations and online contact info. April 21-27, 2019 Theme: "Discover the Past, Envision the Future." See PNNA NCW award information. June 15-27, 2019 in Colorado Springs, Colorado (pre-registration/tuition required to take courses). August 30-September 22, 2019 except Tuesdays and 9/4. No volunteer is knowledgeable about all aspects of numismatics – if your question isn't answered or if you are unable to attend the Fair, please e-mail your question to info@pnna.org. The PNNA show features a large active bourse, exhibits, numismatic theater and club meetings, and a popular young numismatist (YN) program! Also see the PNNA Calendar. Competition for scholarships to the 2019 ANA Summer Seminar in Colorado Springs, Colorado. Applications were due Feb. 1. August 31-September 23, 2018 except Tuesdays and 9/5; PNNA booth in Hobby Hall. See ANA convention reports by PNNA members. June 16-28, 2018 in Colorado Springs, Colorado. Mailing dates are for PNNA members subscribed to paper copies. The 2nd Quarter 2019 16-page convention edition of The Nor'wester was mailed on March 7. The 1st Quarter 2019 16-page edition of The Nor'wester was mailed on Dec. 31. The 4th Quarter 2018 16-page fall convention edition of The Nor'wester was mailed about Oct. 10. The 3rd Quarter 2018 16-page Washington State Fair edition of The Nor'wester was mailed by Aug. 11. See the online editions page for the newsletters listed above and previous editions. See recent PNNA President's messages. Applications for ANA Summer Seminar scholarships are due Feb. 1, 2019 - see the 1st Quarter Nor'wester, or see the scholarship page. The winners for 2019 were announced at the March convention. In Memoriam - We regret to announce the death in September of longtime PNNA Honorary Life Member and former editor Del Cushing. See the president's message for more details. New Logo! The PNNA logo shown on this website was approved by the board on July 23, 2016. Thanks to Tim Garcia for designing this logo, based on the 75th anniversary medal design by Thomas D. Rogers. Previous news summaries from the website. Check out our popular coin show/event calendar, coin club and local news pages! Our PNNA information index includes links to everything you need to know about the PNNA! See PNNA officers and committees. Our reference section includes information about buying and selling coins, a list of speakers for coin club meetings, and a variety of other numismatic topics. See the ANA Representative Program page for information about how the ANA and ANA clubs can enhance your collecting experience. 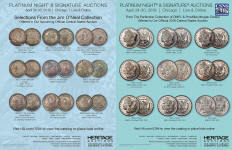 See the Young Numismatist (YN) activities page (also includes Boy and Girl Scout information). Per Article II of the PNNA Constitution and Bylaws, "The objects and purposes of this association are to promote, extend, and protect the interests of numismatists and numismatic activities throughout the Pacific Northwest (Oregon, Washington, Idaho, Montana, British Columbia, Alberta, Yukon Territory, Northwest Territories, and Alaska) and to foster and encourage the study of numismatics in all its forms." 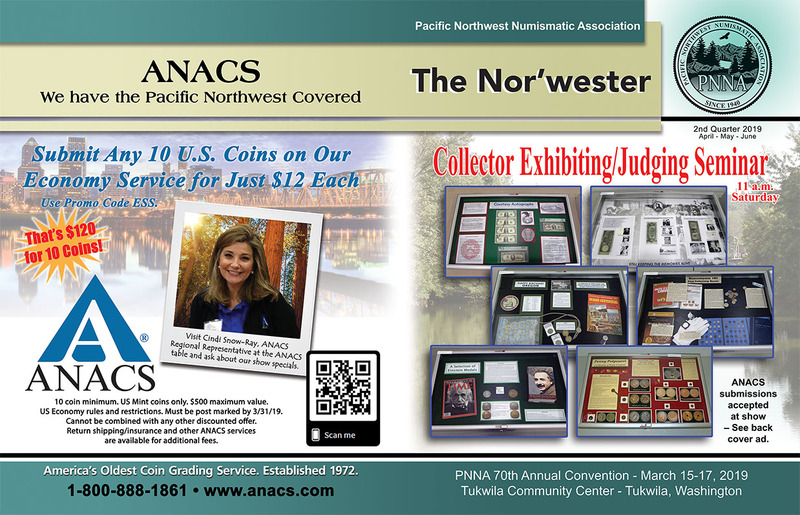 In addition to maintaining this web site, the PNNA publishes a quarterly newsletter, holds two annual conventions, awards scholarships, promotes numismatics at the Washington State Fair each September, and conducts other programs, activities and awards such as National Coin Week awards for clubs. Privacy and data usage policy. 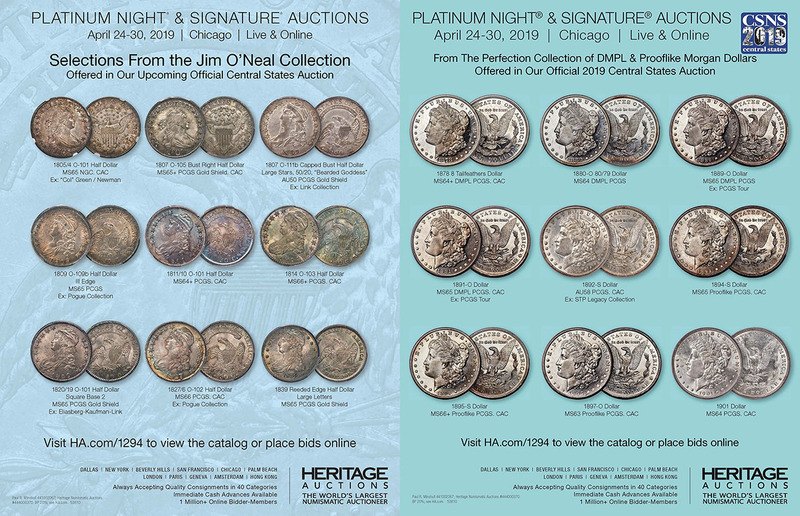 The PNNA suggests that you also visit the American Numismatic Association site. Web hosting courtesy of DreamHost, Brea, CA. Did you really want the Pacific Northwest Newspaper Association? — They're pnna.com, we're pnna.org!